It’s been called the pharmaceutical sector, a drug supply or management system or the medical products building block. By any name, the part of a health system that deals with ensuring access to essential medicines, vaccines and medical products and their correct use–we call it a pharmaceutical system at SIAPS–is critical. Yet despite much research in the field on improving its performance and considerable progress towards strengthening its components, there is no apparent consensus on what constitutes a pharmaceutical system in all of its complexity. In addition, there’s no clearly defined framework for measuring progress in pharmaceutical system strengthening (PSS). That means that countries and donors lack complete information for guiding their investments in PSS interventions, and the tools and agreed-on measures to evaluate them. 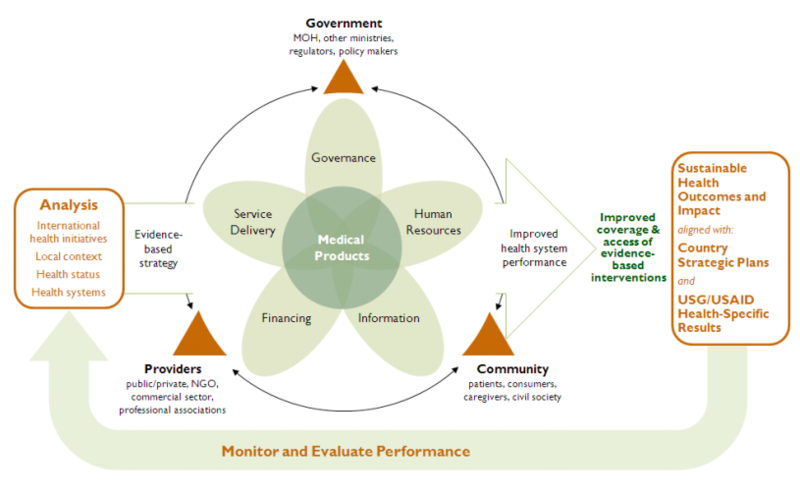 So what are a pharmaceutical system and pharmaceutical systems strengthening? Resilience is a key characteristic of a well-functioning pharmaceutical system, so the concept of resilience is embedded in our definition. We also refer to improvements as “sustainable” to take into account the distinction between strengthening interventions versus those that support the system and may depend on continued external inputs to sustain improved performance. We recognize that this is simplified way at looking at what is a very complex network and its relationship with the broader health system, but it’s also one that lends itself to the development of practical tools that countries and their partners can deploy to measure and monitor results. Given the importance of pharmaceutical systems to achieving the health and risk protection goals of universal health care, our work completes an important step towards evaluating PSS interventions and investments.